On my way home from RivkA's funeral late last night, my wife and I heard on the radio news that a terrorist had shot at an Israeli motorist in Wallajeh. Wallajeh is the village that straddles the alternate Gush Etzion road from Jerusalem, which was used prior to the opening of the current "tunnel highway." Last night, the terrorist opened fire, firing multiple shots at the Israeli car, with at least one of them hitting the car, and luckily, no one was injured. 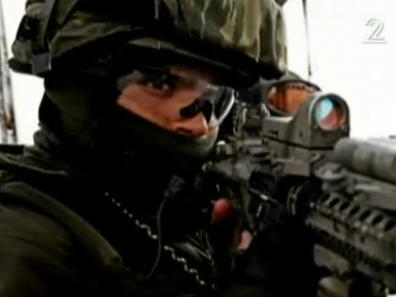 The IDF and Israeli Border Police found spent cartridge shells at the location of the attack, and an IDF tracker helped located the footprints of the terrorist. Rotter.net now reports that terrorist has been captured and is under interrogation. I'm sure Gush Etzion residents will be able to breath easier knowing that last night's terrorist has been apprehended. The Elder of Zion blogger explains why the Palestinians are lying and why it is a travesty that UNESCO's goals are now to rewrite history in the service of those who want to eradicate Jewish culture from the Middle East. Lying isn't new...and slamming Israel is part and parcel of what passes as news these days. Arabs and leftist activists staged an attack on Palestinian fields in a bid to accuse settlers of vandalism, an organization that claims to have documented the incident says. [The claims] were made Saturday by Tazpit Unit members, an organization identified with the settlers which documents news events in the territories. Tazpit says that these staged attacks were meant to falsely accuse settlers of attacking Palestinian land. The photos, taken by members of the Tazpit Unit, were shot on Palestinian land Friday, near the Neveh Tzuf settlement. The images allegedly show Palestinians and left-wing activists cutting down Palestinian olive trees using an electric saw. Many so-called "Price Tag' acts targeting Palestinians were recorded in the last few weeks, and the settlers now claim they were staged by the Palestinians themselves and intended to harm the settlers' image. Tazpit photographer Ehud Amiton, who documented the vandalism act on Friday, says that this is exactly what can be seen in his images. see images and the rest of the article, here. Staging an attack?! Against Jewish Settlers? The Catholic Church, UNESCO, Palestinian Authority...who else this week will step up the plate? For an inspirational article in this Friday's Jerusalem Post about RivkA, please see it here. 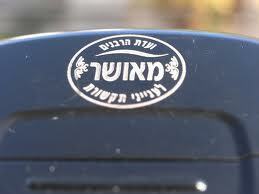 Please daven (or send happy, healing thoughts) for the memory of RivkA bat Yishaya. from the coffeeandchemo blog passed away. Funeral plans are in the process, they will be posted on the coffeeandchemo blog as soon as they are known. Video: The Mystery of J-Street. SOLVED! mynet, the regional ynet website reported as follows (roughly translated by Jameel). The story began in the twelfth grade class this week, when a student suddenly jumped up excitedly and announced that her friend got engaged. Her teacher realized that she had received the happy information via a text message sent to her cell phone, and immediately called for the school principal. The principal demanded that the girl hand over the phone. 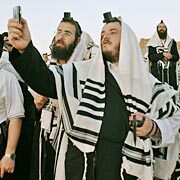 Ultra-Orthodox rabbis have forbidden the use of "non-kosher" cell phones, which allow SMS text messaging. Since the prohibition is considered very serious, the student was expelled from school. Yet the principal didn't stop there. He went through the phone's directory to see what other girls in the class had "non-kosher" cellphones. Apparently, Kosher cellphones have a similar prefix, so it was easy to spot the "non-kosher" ones. The principal's detective work resulted in 8 other girls from the class being called in to be reprimanded for using non-kosher phones, and then they were all expelled as well. "Many girls at the seminar are stressed out because they have a phone that is not kosher and fear being caught," said one student. "There are those who are now trying to get a kosher phone, so they can show that to the principal, if caught. Since we're dealing with 12th grade, no one wants to get thrown out of school 6 months before they starts going out on shidduch dates", another student said. It should be emphasized that this is not the only institution that treats the subject seriously. In some Ultra Orthodox institutions, even the parents aren't allowed to own non-kosher cellphones. As the budget passes to include more funding for those who study in Yeshiva, the following article on ynet was interesting. Obviously he doesn't represent the entire Chareidi society, but his points about Chareidi politicians are right on the money (I've written about it before). Yehoshua (not his real name - "if someone identifies me, I'm finished") arrived at our meeting with his hat leaning sideways on his face and his coat folded in a bag. He is tall, slim and wears glasses. Lights side curls hide behind his ears and his cheeks are adorned with a stylish beard. He's fluent and often uses Yiddish slang as he speaks. He spends eight hours a day at the kollel before returning home to his wife and children at the haredi community they live in. "Don’t give the haredi politicians what they want; don't bring back the assured income," he pleads, and this is the essence of the rare interview you are about to read. But first, Yehoshua would like to stress that his intention is not to present the haredi society as lazy or deceptive. On the contrary, he says, I have a lot of constructive criticism. Politicians, he adds, are those preventing him from contributing to the society. "We are as uncomfortable with the mutual hatred among the people," he explains. "People, we are brothers." "When the seculars established the State they made every young person go to the army. 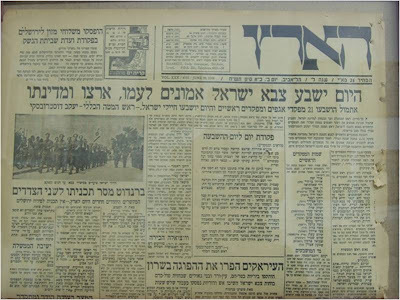 The haredim refused for two reasons: They didn't want to get killed because of the army and they refused to be subject to a secular society. So the agreement was that everyone would withdraw from society in order to maintain our religiousness and study Torah from morning to evening while the wife provides for the family," he begins his fascinating monologue. "What happened was that the seculars have been funding the haredim ever since. We must remember that at the time the haredi public was very small and the secular public could still carry them on its back. 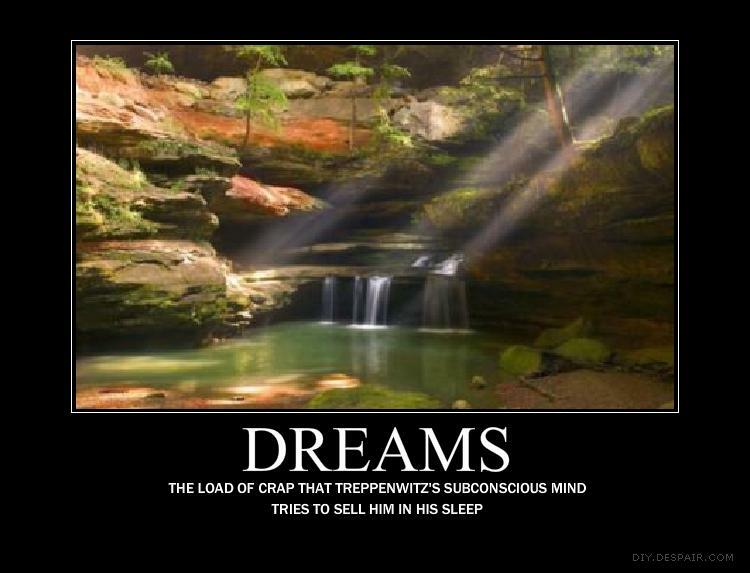 In Europe there were always 'landlords' who would work and fund the minority who studied and were really prodigies. 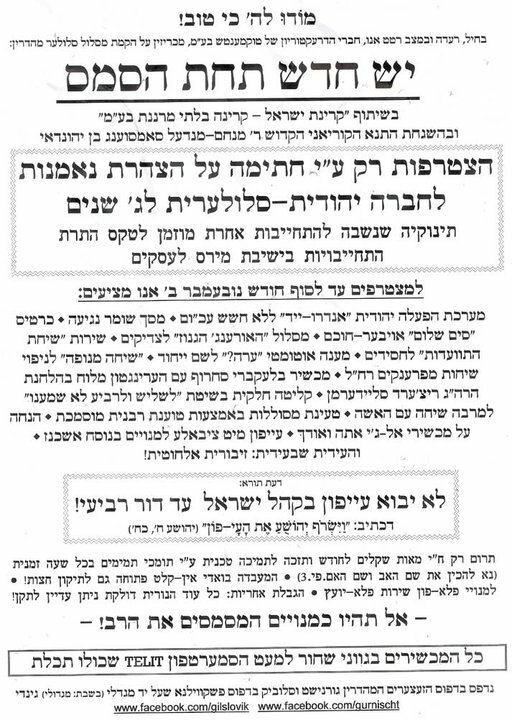 Today it's different – everyone must study and spend the whole day at the kollel. SuperBug arrives in Israel...from India. The first instance of the "superbug" has been detected in Israel, Channel 10 reported on Tuesday. The patient, who recently returned from India, was diagnosed as having the bug that is resistant to all known antibiotics, doctors said. The woman, who reportedly brought the bug back to Israel with her, was placed in quarantine at Sheba Hostpital at Tel Hashomer when doctors confirmed that she had the "New Deli" bug, Channel 10 reported. Israel ranks among the most corrupt countries in the Western world, according to a study released by the International Transparency Organization on Tuesday. Out of 178 countries - 1 being least corrupt - Israel was listed at number 30. But when compared to other member states of the Organization for Economic Co-operation and Development, Israel fared much worse. The least corrupt countries were listed as Denmark, New Zealand and Singapore. Israel received a score of 6.1 out of 10 in the Corruption Perceptions Index (CPI), which ranks countries according to the perception of corruption in the public sector. That score positions Israel in the 22nd place out of 33 members of the OECD. Fun Video from My Friend Jacob Richman. Read it all at Treppenwitz. Please keep praying on behalf of RivkA bat Tiertzel -- noted blogger of the Coffee and Chemo blog. Today's JPost reports that a Vatican conference of Bishops this past Shabbat, they demanded that Israel accept UN resolutions calling for an end to its “occupation” of "Arab lands." "The Holy Scriptures cannot be used to justify the return of Jews to Israel and the displacement of the Palestinians, to justify the occupation by Israel of Palestinian lands,” Monsignor Cyril Salim Bustros, Greek Melkite archbishop of Our Lady of the Annunciation in Boston, Massachusetts, and president of the “Commission for the Message,” said at Saturday’s Vatican press conference. “We Christians cannot speak of the ‘promised land’ as an exclusive right for a privileged Jewish people. This promise was nullified by Christ. There is no longer a chosen people – all men and women of all countries have become the chosen people. “Even if the head of the Israeli state is Jewish, the future is based on democracy." So...the Jewish people aren't chosen, we don't have a "promised land"...and Israel cannot be a Jewish State, rather a "democratic one" (hint, read "State of all its Citizens"). ...and more disappointment, as the Jewish people return to their homeland, fulfilling millennium-old Biblical prophesies, as we witness the in-gathering of the exiles and the blooming of the desert. 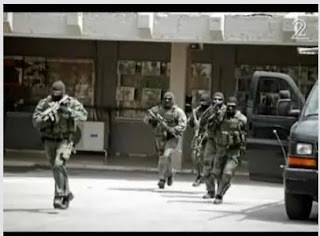 In a highly under-reported win, Israel's Police Counter-Terror force, the "YaMaM" won the international "Urban Shield" counter-terror competition against 27 top rated police and federal SWAT teams from around the world. Not only did Israel place first, but their point score was the highest ever in the history of the competition. Translated by Jameel, from the Channel 2 news site. 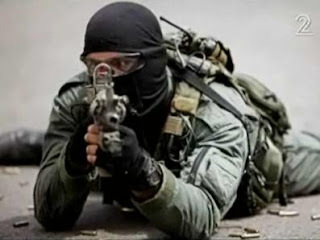 Excellence against terrorism: SWAT fighters won first prize this week at a competition of the special counter-terrorism units from various countries, held in California, United States. 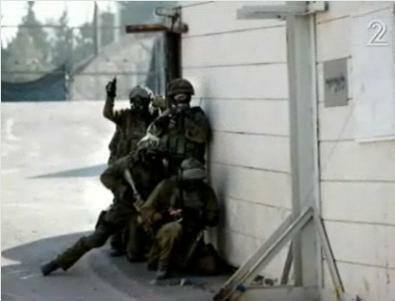 The "Urban Shield" contest was a two-day exercise, and Israel's team also broke the world record [in scoring points]. 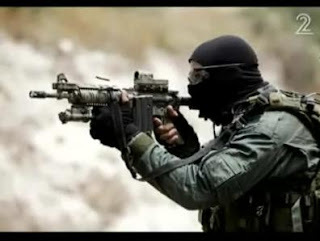 Israel's unit competed against 27 police units from the United States and abroad, reacting to different scenarios in the war on terrorism, taking control of terrorists holding hostages and more. 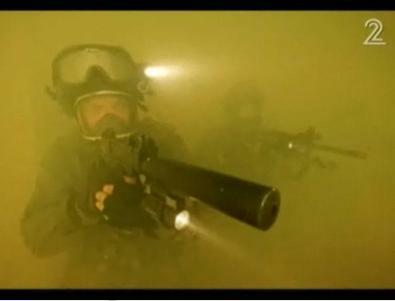 The SWAT team, consisting of eight fighters under the command of a Commander "B" gained the highest score among the units that participated in the competition, and won first place. Minister of Internal Security, Yitzhak Aharonovitch also spoke with the commander of the delegation. "You brought great pride to Israel, have proven that you are step forward before the whole world", said Aharonovitch as he praised the fighters. "You are fighting in the shadows away from the spotlight, and you probided the world with a taste of your abilities, and your readiness to answer the call. You have placed the Israel Police at the top of the world." OAKLAND -- An Oakland police SWAT team finished second in a prestigious, internationally known training competition last weekend, losing out to a group of Israeli police but beating more than two dozen other Bay Area law enforcement agencies that participated. 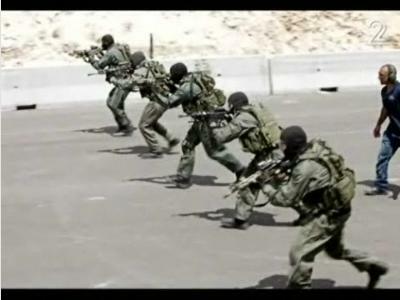 Israel's counter terror units are the best in the world...and I'm proud to serve in our local region's unit as well. While "Peace Now" and AP fret over the following, its obviously good news for Israel. Israeli settlers have begun building new homes at an extraordinary pace since the government lifted its moratorium on West Bank housing starts – almost 550 in three weeks, more than four times faster than the last two years. In an extensive report Thursday morning, the Associated Press wrote that many of the homes are going up in areas that under practically any peace scenario would become part of a Palestinian state, a trend that could doom US-brokered peace talks. According to the AP's count, ground has been broken on 544 new West Bank homes since Sept. 26, when Prime Minister Benjamin Netanyahu lifted a 10-month freeze on new settlement building. The survey, while not comprehensive, marks the most extensive effort yet to quantify the construction. It was based on visits to 16 of the West Bank's more than 120 settlements as well as phone calls to more than four dozen settlements and interviews with construction workers and mayors. "This figure is alarming and is another indicator that Israel is not serious about the peace process, which is supposed to be about ending the occupation," said Ghassan Khatib, spokesman for Palestinian President Mahmoud Abbas' self-rule government in the West Bank. May we continue to build in ALL parts of Israel. and not in the best of shape. 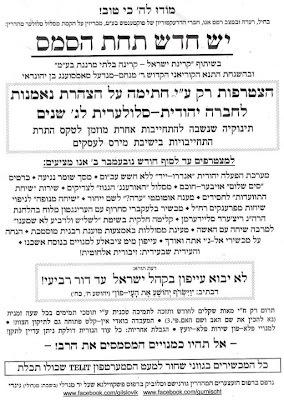 A daily tehillim watch has been started for her, and if you would like to help, all the information is here. A video lecture by RivkA about "Coping with Adversity" is here. I just mailed in my absentee ballot. Without a doubt this was the most difficult election I ever voted for. Normally I vote for a candidate based on their positions and record (with Israel and Economics being the most important to me). I normally wouldn’t even consider their party affiliation. But I couldn’t do that this election. It far too important for the future of America and Israel that the Obama fail in everything he does, and that means the Democrats must lose control over the Senate and Congress. Based on current polls of the upcoming election, the majority of America understands that too. I’ve never voted a protest vote before. I’ve always voted for the candidates I like, even if they have no chance of getting in. As usual, I carefully reviewed each candidate’s positions. The first Republican challenger I liked a lot, but the Democratic incumbent has a very solid record of supporting Israel (not that I agree with his interpretation on what support actually means, but I believe he sincerely views himself as pro-Israel). But ultimately this Democratic incumbent only offered an understated reaction to Obama’s awful treatment of Israel and he took his sweet time before he offered it. If he had stood up earlier and said more, my decision would have been much more difficult (or perhaps even different), but as they say, “too little, too late”. I wasn’t impressed with the second Republican candidate at all. In fact, I disliked his positions on numerous, though not primary, issues. But lucky for him, I was even less impressed with most of the positions of the Democratic incumbent. So this Republican candidate grudgingly got my vote too. The third Democratic incumbent was OK on Israel, but his economics were horrible, I mean really horrible. His Republican competitor is a bit of an unknown, but he’s weighed in on all the major issues, and I like many of his positions. That was an easy decision. From the three candidates I voted for, I would have voted for two of them anyway. The third selection was my way of voting against the Obama and for America. I hope my vote will help. Unfortunately, it took the efforts of right-wing, law-abiding citizens to bring about Priel's admission of guilt, since the State of Israel wasn't able to do anything useful. The "Legal Forum for the land of Israel" initially filed the complaint with Israel's attorney general, against Barak 8 months ago. Instead of the police investigating the case, it was turned over to the ministry of labor, headed by Barak's good friend and Labor-party minister, Fuad Ben Eliezer. Surprisingly [not], they came up with nothing. Even more surprisingly, the Shin Bet claimed they couldn't find the foreign worker. Barak and his wife said they had no clue how to contact Virginia. So...what does Israel's State Attorney do? The case against Priel was closed last week, when Attorney General Yehuda Weinstein said the foreign worker in question, identified as Virginia, could not be located. As a result, last Thursday I personally heard a representative from the "Legal Forum for the land of Israel" on IDF Radio last week ask for the public's help in locating, "Virginia," since Israel's police and security services were unsuccessful. Of course, "Virginia" was located the other day, and she asked what the big deal was, since she said that Nili Priel and Ehud Barak had her phone number! Now that the Smoking Gun was located, Nili Priel decided to announce her guilt and she expressed "her willingness to pay a fine". What a saint she is. Priel and Barak should have to pay far more than a fine, and they should be indicted for obstruction of justice and interference in an investigation. Along with the Barak mafia, the other characters who should go to jail are Fuad Ben Eliezer, the Shin Bet, and Attorney General Yehuda Weinstein. Last week, Eric Bellucci from Staten Island, who is accused of killing his parents in Staten Island, boarded an ELAL flight and and skipped off to Israel. What made this story rather strange is that Bellucci isn't Jewish, has no ties to Israel, and yet he decided to flee to Israel of all places. Bellucci was extradited back to the U.S. from Israel this past Sunday morning. About a month before the brutal double murder, Bellucci called an old friend from Stuyvesant High School and said he was working with Israeli intelligence. 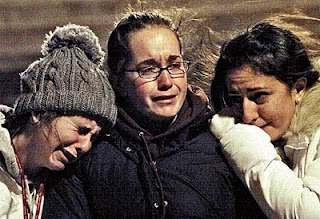 "He seemed a little paranoid," the friend told the Daily News. 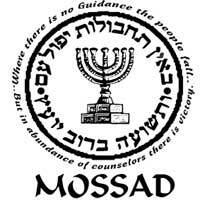 "He told me that he was working with the Mossad." The friend, who asked to remain anonymous, said his former football teammate was worried about terrorism and cited the attempted Times Square bombing. Less than a week before the killing, Bellucci sent an email to an ex-girlfriend, offering her $500 for the name of each person who caused their breakup, a police source said. 1. From INN and NRG: A three-justice IDF military court found Wisam Ali Mahmad Raadi innocent of manslaughter charges in the infamous lynch-murder of two IDF soldiers 10 years ago. 2. Rigged? Once in 10,000 years event: Combination of six numbers repeats itself twice, less than a month apart; 95 gamblers bet on unlikely event and win. Statisticians said the probability was abysmal, conspiracy theorists said the game was rigged, but some lucky gamblers believed this could happen: In an odds-defying incident, Saturday night's state lottery numbers were an almost identical repeat of the lottery numbers from September 21. Ninety-five people picked the lucky combination and won. Fifteen years after Yigal Amir shot and killed Prime Minister Yitzhak Rabin, prominent religious figures have begun an ill-timed campaign to retroactively acquit Amir's girlfriend, who was charged with failing to report his intent to commit murder. In a letter to Attorney General Yehuda Weinstein, several rabbis and members of the Knesset quoted former Shin Bet officials Carmi Gillon and Ami Ayalon who expressed their belief that Har-Shefi, was not, in fact, aware of Amir's intention to kill Rabin. Among those who signed the letter are Knesset Members Otniel Schneller of Kadima and Uri Ariel of the National Union, as well as Rabbis Yuval Sherlo and Yaakov Meidan. "I am shocked by the idea," responded the slain prime minister's daughter, Dalia Rabin, who added that her reaction was not personal and she trusted the legal authorities to make the right decision. 4. Absolut Rigging. The foreign worker at the center of a recently dropped investigation against Defense Minister Ehud Barak was located over the weekend and gave an interview to Israel Radio that aired Sunday morning. The worker said in the interview that Barak's body guards and his wife had her phone number. The investigation into Barak's hiring of an illegal foreign worker was closed after investigators from the Industry, Trade and Labor Ministry, as well as from the Shin Bet, were unable to locate the Filipino woman. 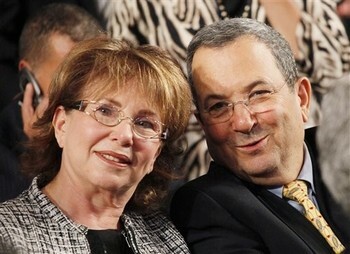 It was alleged that the woman illegally worked as a cleaner in the Barak family's Tel Aviv home. The investigation was called off when investigators could not turn up enough evidence to file an indictment. In the Israel Radio interview, the worker said that she would typically enter the defense minister's home without undergoing any security checks. Speaking on Barak, the woman called him a "good man," and said that he treated her decently. The Filipino woman expressed similar sentiments about Barak's wife, Nili, saying, "Nili gave me presents." According to the woman, she used several different names while in Israel. Additionally, she said that Barak's security guards as well as his wife had her phone number, implying that a regular relationship had developed with the employee. Hopefully, tomorrow will bring better news...or at least indictments and convictions for those who deserve them...but I won't hold my breathe. 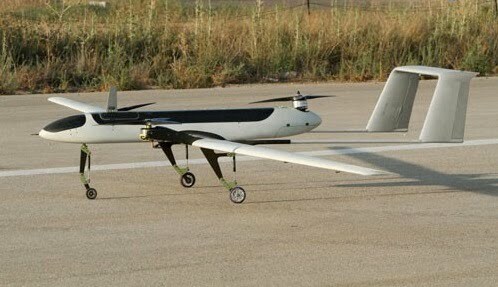 Everyone knows that Israel is a world leader in unmanned aircraft. The following even took an IAF pilot I know by surprise....(the video below shows how amazing this aircraft really is). The Panther’s VTOL capabilities give it the ability to takeoff and land on an unprepared area, while an automatic flight control system controls the transitions between the hovering takeoff phase to forward flight and vice versa before landing. IAI says this system eliminates the need for an external pilot and allows the craft to take off and land automatically with the click of a button on the operator console. Itzhak Nissan, President and CEO of IAI, said: "The Panther's intelligence, surveillance, and reconnaissance (ISR) capabilities, along with its effective use of changing flight dynamics, make it a unique and invaluable asset on the tactical battlefield for the Israel Defense Forces and for foreign customers. We consider the innovative technology used in this system to be ground-breaking." The Panther, which weighs roughly 65 kg (143 lb), is powered by three ultra-quiet electrical motors that allow the craft to loiter for approximately six hours, at an altitude of up to 10,000 feet, with an operational radius of over 60 km (37 miles). The UAV carries IAI’s Mini-POP (Plug-in Optronic Payload), which consists of a day/night stabilized camera with a laser range finder, pointer or laser designator. 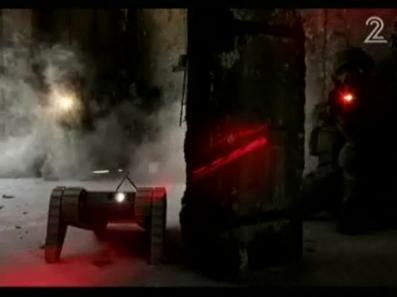 Meanwhile, the smaller Mini Panther, which weighs up to 12 kg (26 lb), can loiter for approximately two hours and carries IAI’s Micro-POP. A short, 3 minute video about Jewish efforts to save Israeli State lands. to its Nation, Land, and Country. I guess Ha'aretz didn't mind back then because it was before 1967. While Iranian President Ahmadinejad prances around his Lebanese colony threatening Israel and the West, foreign media have reported that a mysterious explosion has killed 18 Iranian Revolutionary Guards, and a fire is now raging in the storage facility of Iran's medium range Shahab-3 ballistic missiles. (RTTNews) - More than 18 Revolutionary guards were killed and 14 others wounded in an explosion Tuesday at a base of the Islamic Revolutionary Guards (IRG) Corps in the Western Iranian province of Lurestan, reported Iran's official news agency IRNA Wednesday. A Deputy Commander of the Corps said that blast resulted from a fire that spread to a munitions depot at the corps's base in Khoramabad, 300 miles southwest of the capital, Tehran, and close to Iran's restive Kurdistan region. Police and fire-and-rescue teams were rushed to the IRG base and the injured were taken to a hospital in Khoramabad, the agency said. 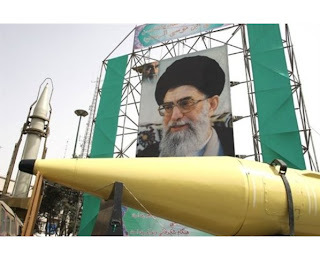 The base houses underground launching and storage facilities for Iran's medium-range Shahab-3 ballistic missiles, said research group Global Security. Lorestan Governor General Hassan Shariatnejad visited the injured persons hospitalized and offered his condolences over the tragic incident. Local officials declared a two-day mourning Wednesday and a funeral was scheduled for Thursday. Kudos to the pyromaniac responsible for the fire. Update: 1:06 PM Two rockets were fired from Gaza at Ashkelon, resulting in air raid sirens. No reports of injuries, and the rockets apparently landed in open areas causing no damage. Update: 4:20 PM Police say no rockets hit Israel, despite the eyewitness reports from people who heard 2 loud booms. Netanyahu: Shoot to kill the Stone Throwers. It's about time someone with guts and leadership says what needs to be said. 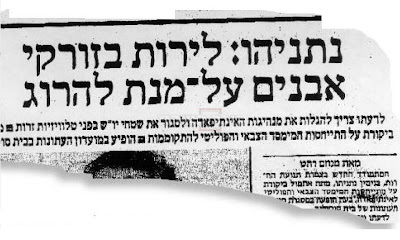 Too bad Netanyahu said this 23 years ago in 1987, which is when the above Maariv headline is from, and he doesn't say it again today. The poll results were very interesting. 205 people answered the poll, and I belatedly found out that on SurveyMonkey the free account only allows you to views the data on the first 100. Regardless the first 100 answers were certainly enough to get a feel for what people knew. Some answers were obvious and most people knew them or figured them out. Other questions were tricky or at least non-intuitive if you didn’t already know the answer. Below are the correct answers and the explanation for each one. 1. Who coined the term describing Israel as a "Jewish and Democratic State"? Many people believe that this term is as old as the state, but that is not the case. This phrase was coined and first used by (a) Peace Now in after 1967 to explain why Israel must divest itself of significant and important historical sections of the Jewish homeland. Peace Now forwarded the argument that if Israel is to remain a Jewish and democratic state, Israel must rid ourselves of the Arabs that threaten Jewish majority control of the state of Israel. Quite interesting, at the time, Peace Now espoused the same exact goal as Rabbi Meir Kahane, just through a different method. The majority knew that Israel was founded exclusively as (c) a Jewish state, as explicitly declared in the Declaration of Independence and not a Jewish and Democratic state (they probably read our earlier posts and comments on that). In the Declaration if Independence, Israeli is defined as a Jewish state that also offered equal political rights and personal freedoms for its non-Jewish residents. While clearly offers special interests and policies to Jewish nationals first. Israel certainly wasn’t founded as a state of all its citizens as the term is used today. In 1948 there were only 48 states in the union, so Israel would have been the 49th. 3. Where is Israel legally defined as a "Jewish and Democratic state"? (c) Israel’s Basic Laws (d) None of the above. The answer is (c) Israel’s Basic Laws enacted on March 17, 1992. • Section 1: The purpose of this Basic Law is to protect human dignity and liberty, in order to establish in a Basic Law tile values of the State of Israel as a Jewish and democratic state. Former Chief Justice considers the Basic Laws as a precursor to an Israeli constitution and gives them similar powers, even though, those that voted in the Basic Laws did not understand them as such at the time. More than half the people thought the answer was (d) None of the above. 4. Who is against defining Israel a Jewish and Democratic state? Nearly everyone correctly identified the right answer as (e) All of the above. To one degree or another, all of the above want to change Israel’s Jewish character and definition and make Israel a state of all its citizens and not a Jewish state (see next question). The only (possibly) wrong answer is (a) a Jewish state. You might have a state that temporarily retains a Jewish majority, but that is not sustainable if the state can’t unequivocally work to maintain the Jewish majority, in part through a selective immigration policy that favors Jewish nationals. All the other answers are what would inevitably happen if Israel were no longer defined and run by the principles of it being a Jewish state. Surprisingly, more than half the respondents believe that even if Israel were defined as a state of all its citizens, it would somehow inexplicably remain a Jewish state regardless – even though that would remove any vestige of Jewish national centrality from the government’s policies, laws, immigration policies and character. I first thought they didn't understand what the term and consequences meant and assumed that because Jews would temporarily still be the majority and temporarily shape the character of the country, those that answered (a) simply weren’t thinking of what would be a few years into the future. But I realized their answer must be far more subtle than that. Presumably they meant that the Land of Israel, by definition, will always be the Jewish state, no matter if the Jews are in exile, the minority, or if the country is democratically overthrown and turned into a “state of all its citizens”. Eretz Yisrael, the Land of Israel belongs to the Jewish People exclusively, and so even if no one calls Israel the Jewish state, and even if the Jews become a minority (or non-existent), and Jerusalem is ripped away from the control of the people of Israel and given to the Palestinians or to an International body to govern, the land of Israel can never lose its basic definition as the Jewish state. Rejected: Acceptance of Israel as the National Homeland of the Jewish People in exchange for settlement freeze. Senior Palestinian Authority negotiator Saeb Erekat on Monday stated that the Palestinian Authority unreservedly rejected Prime Minister Binyamin Netanyahu's offer of a renewed building freeze in the West Bank in exchange for PA recognition of Israel as the Jewish national home. To date, Fatah and Palestinian Policemen have continued to be involved in terror attacks against Israelies. See here, here, here, here, yawn. You can check out the Palestinian Ministry of Incitement and Hatred, and here's a quick example of ongoing incitement from PA TV. Visit MEMRI and Palwatch and see Palestinian Authority incitement broadcasts on a daily basis. Of course, while the PA continues to reject, they still get everything they ask for. 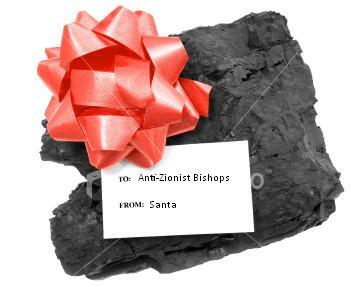 They will still get another settlement freeze from Israel, and the PA will have to do nothing to get it. For a sobering analysis of why there won't be peace with Palestinians for decades, read today's interview with Minister of strategic affairs, Moshe Yaalon in the JPost. Minister of Strategic Affairs Moshe Ya'alon on Tuesday voiced pessimism regarding peace talks with the Palestinians. "There is no chance in the coming years for a peace agreement with the Palestinians," he told Army Radio. Ya'alon said, "In the eyes of the Palestinians, the occupation started in '48 and not in '67. It is not only Hamas that thinks this way, but also [Palestinian Authority President Mahmoud Abbas]. They need to be released from this delusion, from not recognizing Israel as the home of the Jewish people, and from from their readiness to agree that an agreement will be the end of all mutual claims, he said in the interview. He concluded, "They have no interest in having Israel as a neighboring state." Former Assistant US Secretary of Defense Lawrence J. Korb sent a letter to President Obama two weeks ago stating that the sentence meted out to convicted Israeli spy Jonathan Pollard was too harsh and not justified by the crimes he committed, Army Radio reported on Tuesday. According to Korb, his boss, former Defense Secretary Casper Weinberger, expended immense effort to convince the judge in the Pollard case to judge him harshly. "Despite Pollard's admission of guilt, cooperation with authorities, asked for a plea bargain, he received a disproportional punishment," wrote Korb. Korb pointed out in his letter that the average punishment for the crime conviction Pollard received was two to four years at the time of his conviction. And today, after several legal changes, the new average is about 10 years. Pollard and the US agreed to a plea bargain, yet Pollard is imprisoned to this very day. Enough is enough -- its time for the US to release Pollard and let him go home to Israel. Why is Obama Supporting Apartheid?